Ibrox Noise: PHOTO: do these six players have a future at Ibrox? PHOTO: do these six players have a future at Ibrox? After yesterday’s excellent win over League Two Bury, Rangers fans are in a positive frame of mind and looking forward to further improvement under Steven Gerrard. A number of players, however, as you can see from the above photo, were very much not part of events, and whether it was due to injury or being surplus, Jak Alnwick, Wes Foderingham, Jordan Rossiter, Lee Wallace, Graham Dorrans and Harry Forrester found themselves on the outside looking in from the Director’s Box as the selected 22 players instead took to the field and subs’ bench. Rossiter, as we know, is injured, so that is self-explanatory, and doesn’t require any reading between lines. Dorrans is said to still be in rehab as well – the Scotland international has taken minimal part in all pre-season training and matches and of course was called back to Britain for a pre-planned scan on his troublesome knee. Wallace too is in a double quandary – both injured (and reportedly requiring surgery) and in a club dispute over the events at Hampden last season, we don’t know what the future holds for him. 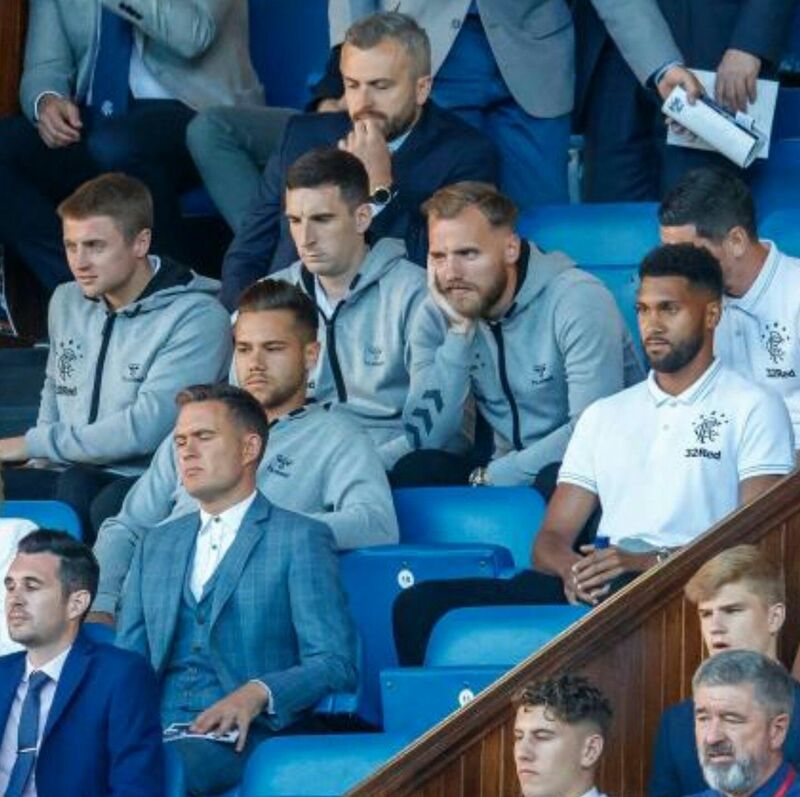 Meanwhile Wes Foderingham and Jak Alnwick may both be considered surplus after major doubts emerged over their futures recently, especially Foderingham’s. And Harry Forrester is simply not required by manager Steven Gerrard and is free to seek a new club. However many of these players have futures at the club, time will clearly tell, but it doesn’t look rosy for a significant number of them. Wallace-maybe, if he fixes dispute, details unknown. CB or LB cober. I think all cab go off the wage bill . Hopefully get some money for a couple of them Fotheringham.. Alnwick maybe .Dorrans should never have been signed Rossiter done sorry . Wallace pay off . The rest just get gone please!!!!! !